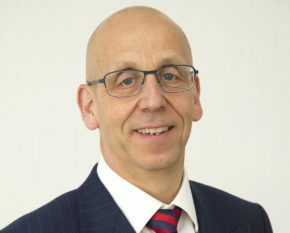 The recently-appointed Risk Officer for Earl Shilton Building Society has said he is looking forward to taking on new challenges with the financial organisation. John Pettitt spent the first 18 years of his career working for some of the largest nationwide companies within the insurance industry and for the past 23 years, he led an insurance and risk function in local government. As Risk Officer for the Society, John will be tasked with identifying and assessing risks and then allocating resources to minimise the probability or impact of unfortunate events. “The job as Risk Officer for Earl Shilton Building Society really offered me a new challenge,” he explains. “I was very keen to work in a different environment, but at the same time I wanted to use transferrable skills and knowledge that will contribute to the Society’s success. In his spare time, John enjoys keeping fit by regularly running half-marathons and supporting his local football team. Paul Tilley, Chief Executive of Earl Shilton Building Society said: “I would like to congratulate John on his new position with the Society and wish him the very best of luck. Having celebrated its 160th anniversary this year, Earl Shilton Building Society has branches in Earl Shilton and Barwell. The Barwell office is currently undergoing a major refurbishment to enhance both customer experience and the building’s facilities, which will bring it in line with its Earl Shilton counterpart. It is anticipated that all works will be completed by the end of March 2018 and it is intended that the branch will remain open throughout.